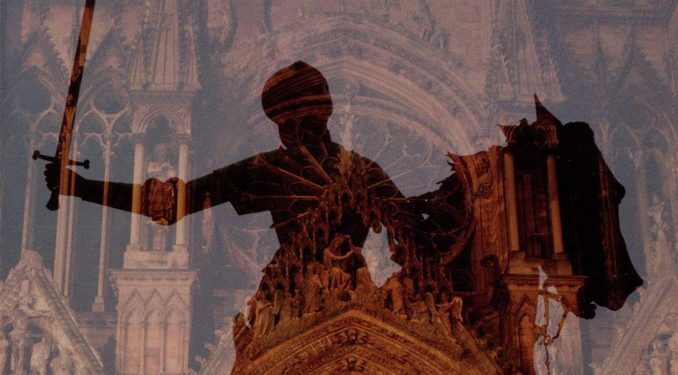 To a certain extent, Twain’s novel about the young, fifteenth-century French girl and Saint remains a puzzling act of devotion from a complicated man. BRATISLAVA, SLOVAKIA, NOVEMBER - 21, 2016: The lithography of St. Peter and Paul in Missale Romanum by unknown artist with initials F.M.S (19. cent.) and printed by Typis Friderici Pustet. 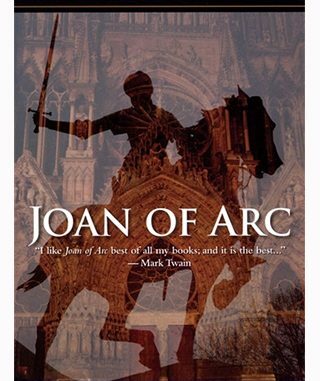 When Mark Twain wrote a novel about St. Joan of Arc, he left us one of the great conundrums of American literature. Twain knew the book would confuse readers who expected his usual fare: when Harper’s Magazine first released installments of the novel beginning in 1895, he insisted it be published anonymously. Today, fans of Twain still find themselves scratching their heads. How did the creator of American icons like Tom Sawyer and Huckleberry Finn come to write the life and death of a fifteenth-century French girl? Why would a man with so strained a relationship to Christianity write such an earnest novel about a Roman Catholic martyr? Since when did the great American humorist become a hagiographer? The mysteries multiply when we open the book. We find almost nothing like the vernacular sparkle or outrageous humor of Twain’s better-known works. His research is meticulous; his prose remains predominantly serious, even reverent, as he crafts a novelistic biography of the girl known as the “Maid of Orleans.” What’s more, Twain claimed Joan of Arc as his favorite among all his many books, and insisted in his autobiography, “I wrote the book for love, not money.” It’s a massive novel, and one that took him—by his own estimates—over a decade of research and preparation. And on every page we find the author’s utter admiration for this visionary Catholic saint. On a bookshelf of Twain’s complete works, one of these things is not like the other. The story begins with Joan, a simple peasant girl in the sleepy village of Domremy. France has long been riven by the bloody Hundred Years’ War with England. Charles VII, the rightful king of France, remains still-uncrowned and influenced by a corrupted court. But God has a plan for Joan and a plan for France. Led by what she calls her “Voices”—miraculous visions and instructions from St. Michael and other saints—Joan presents herself to the king with the message that God has sent her to save France. And France begins to awaken. Again and again, the English armies meet their match in Joan. One by one, English fortifications fall. The oppressed people of France have hope again, and God fights against the English invaders through the sword of a young girl in dazzling white armor. For Twain, part of Joan’s genius lies in her simple faith in God. Confident in His power to overcome all obstacles, Joan embraces His call. “I am enlisted,” she says, “I will not turn back, God helping me, till the English grip is loosed from the throat of France.” And obstacles there will be, for Joan faces ineptitude, opposition, and even deception from within the ranks of her own army. But Twain also seems drawn to Joan’s miraculous gifts. Although a literary Realist and a religious skeptic, the author nonetheless treats all of Joan’s visions and prophecies with remarkable seriousness. Joan predicts that a mysterious sword will be found buried behind the altar of a church. She prophesies her victories, and even when she will be wounded in battle. Joan’s well-documented life, then, becomes a kind of case study for God’s activity in human life and history. But Joan’s life reveals her natural gifts as well, and Twain cherishes those qualities in her. He depicts her amazing leadership, especially her ability to transform fallen men into heroes. To one of her childhood companions, a boastful coward known mockingly as “the Paladin,” she says calmly, “Of old you were a fantastic talker, but there is a man in you, and I will bring it out. . . Will you follow where I lead?” As the narrator, based on Joan’s page and secretary Louis de Contes, puts it: the Maid was “supremely great in the gift of firing the hearts of hopeless men with noble enthusiasms, the gift of turning hares into heroes, slaves and skulkers into battalions that march to death with songs upon their lips.” In this way, Joan looks upon men with God’s eyes. Seeing the greatness to which each man is called, she reaches out her hand and challenges him to stand up. We could all use a little Joan of Arc in our lives. Indeed, her final battle will be her long trial at the hands of corrupt church officials. Captured in combat and handed over to her enemies the English, Joan faces a hostile ecclesial court led by a bishop loyal to the Burgundian party, which supported English occupation. Twain’s narrator heaps scorn upon this kangaroo court. But he also makes a distinction between the crooked politicking of the French church and the Church proper. But in the end, her enemies condemn her to death. At her place of execution, she kneels to pray for the French king. And then Twain’s little Maid of Orleans is given over to the flames of the stake, until the eternal flame of God’s Love receives her forever. This is by far the best article i have seen about Mark Twain’s most unusual book. If you ever find yourself with a few spare hours in Hartford, Connecticut, I urge you to visit the Mark Twain House and Museum and take the tour of his house, which is well-preserved. Older Catholics may smile at the little lecture given by the talented tour guide before you tour the house. The rules are quite clear, and if you are old enough, you might think to yourself that the standards just announced for acceptable behavior in Mark Twain’s house are more stringent than those of the current Catholic Church for acceptable behavior in the presence of Christ in the Eucharist. For me, one of the most touching moments in the tour of Samuel Clemens’ house was the display of the basket of food items given to about fifty poor families in Hartford at Christmas each year, and the hand-written apology given when financial circumstances at one time made it necessary for the basket to be not quite as good as it had been in previous years. If you take the museum tour, you will see the printing press that was a bad investment, reduced Christmas baskets resulting. It is such a great book. Such an astonishing story. Twain licks you in with the very first story of the fairy tree, and the day when her village gave the little girl Joan the title: Joan the Brave. None of the movies about Joan do her justice. Twain does…because he loved her. Superb review, Professor; & Twain was right, t’was his finest work. What a wonderful review of a fascinating fascination, an unlikely but inspiring devotion. Thank you to the author of this essay, and also for the reader comments. Apparently, an inspiration for Mark Twain in his portrayal of Joan of Arc was one of his daughters, Susy. It’s interesting to me that Susy’s short life of 24 years coincided almost exactly with the life of another young woman in France who was also precocious, creative, highly sensitive, strong-willed and devoted to her father — St. Therese of Lisieux. I don’t know if there’s a book to be written of these two women in comparison and contrast, but I put it out there just in case. On a somewhat related topic, Mark Twain may have known Nathaniel Hawthorne’s daughter, Rose, who converted to Catholicism, eventually became a nun, and founded an order devoted to caring for patients with incurable cancer. I have the impression somehow that Twain contributed to her ministry. As a postscript, I had just purchased a biography of Mark Twain by Ron Powers, which I hope is as good as it is long. Well Vida Sackville West wrote an excellent & comprehensive bio of Joan as well as The Eagle & The Dove it being a twinned bio of St Teresa of Avila and St Therese of Liseux. West was an agnostic & allegedly Virginia Wolf’s sometime lover. Her appraisal of The Little Flower is remarkable in that it was partly worked on the pre 1956 translation of Therese’s autobiography which was heavily edited / altered / often mangled, by her older sister Pauline. 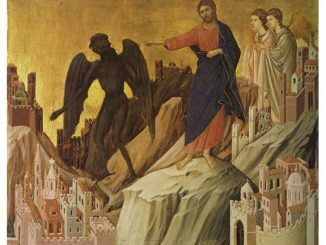 It is perhaps in the honoring of the saints that we see glimpses of their salvation. Though outside the Catholic Church, they are saved through the Catholic Church — with the inspiration and aid of her most celebrated members. Let’s hope and pray that this happens to as many non-Catholic souls as possible.